In honor of the day Thomas Jefferson and John Adams penned our Declaration of Independence and (in a strange twist of fate) died the same fourth day of July fifty years later, I have decided to focus this edition a little close to home. Many parts of this country inspire us but the one city that still gives us the butterflies is the one that never sleeps. 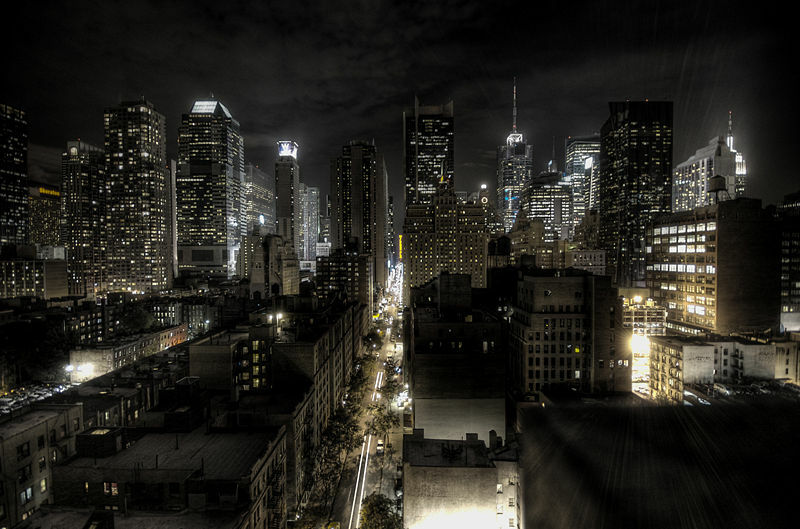 It is, after all, the concrete jungle where dreams are made of. And since we made it here, yea, we can make it anywhere – let’s hear it for New York! (thanks to Jay-Z & Alicia Keys to some of the best lyrics of all time). We have focused this edition on the city with the big lights that might just inspire you. If money is no object, the best there is for a summer weekend is the Soho House. It’s out door pool is where the who’s who get to be seen by the other who’s who. The rooms have a quiet industrial vibe with a crazy mix of styles in every room – decor ranges from modern with an antique flair to contemporary with a retro hippie touch. We happen to love the small unassuming entrance that you would walk right past if you weren’t in the know. The hard part is getting a room – if you happen to be one of the lucky few, don’t forget your designer swimwear. If you are a design ju nkie, there is one hotel you can’t miss. Praised by almost every important design magazine, the Crosby Street Hotel is a piece of art. You won’t have to visit an art museum when you sleep here in an environment that has almost every color, creating a little bit of modern sophistication with a touch of Alice in Wonderland. For those people in the know, Robert DeNiro’s Greenwich Hotel is what other hotels in the city strive to be. It has a simple comfort that has perfected the melting pot design vibe. Exposed brick walls are classic New York City with Asian and African influences and comfy furniture that make you wish this was your home. The selling point? Locanda Verde is the hotel’s restaurant, where chef Andrew Carmellini makes high-end Italian comfort food like pumpkin agnolotti, grandmother’s ravioli, and melt-in-your-mouth lamb sliders. Although speakeasys are a badly kept secret in this city, we love the pretend secrecy and great drinks. Little Branch is a special place that makes us feel as though we are part of a inner circle of artists enjoying a drink during prohibition. Once you are inside, the “mixologists” know every cocktail ever invented on the planet and probably will serve you up the best version of your favorite drink. If you don’t have a favorite drink, leave your fate in their hands. Tell them what you are in the mood for, and be prepared to tell all of your friends about it. If you can remember it the next day. Tillman’s Bar & Lounge is a hidden spot where Cuba meets New York meets Harlem. If you know another place where we can hear Billie Holiday and Bob Marley while sipping champagne and eating a grilled cheese, let us know. We’ll be in the middle booth. Wine bars are common place pretty much everywhere, but Casellula in Hell’s Kitchen has mastered the concept. It’s everything that you expect from a wine bar – cozy, intimate, dark, and a great wine list. But the reason to come here is the food. They have an amazing cheese list and each cheese you order is paired with a unique spread. Ordinary jams and nuts are for losers here as the fromager pairs each selection with rare things that have included peanut brittle, preserved pear, bell pepper marmalade, and curry flavored caramel popcorn. New York is known for its attitude and we’ve never understood the velvet rope culture. 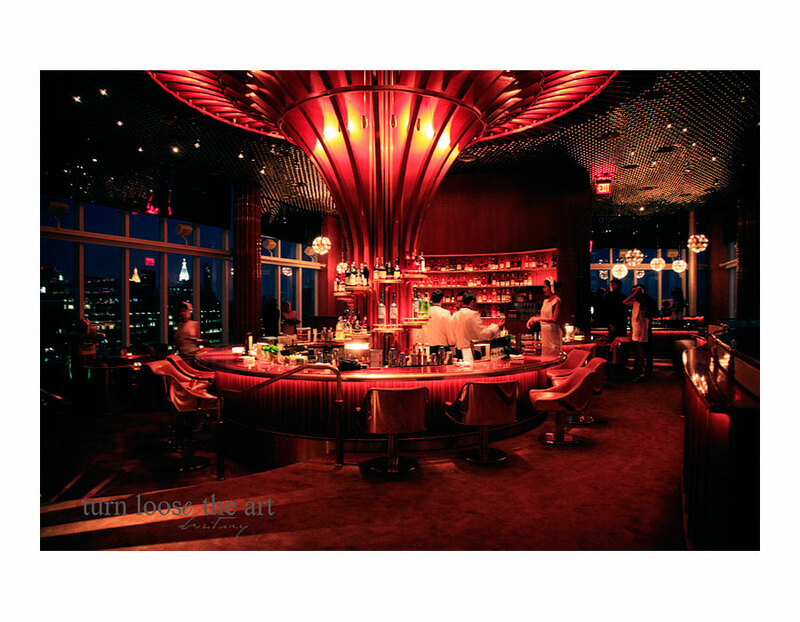 However, the harde st place to get into in the city is the Boom Boom Room in the relatively new Standard Hotel. This club is a throwback to the Rainbow Room – complete with 70s decor, gorgeous waitresses, and glitz and gold literally dripping from every corner. The cocktails are pricey but worth it. If you can manage to actually get a table with the online poker-esque reservation system, momofuku ko is a foodie d elight not for those with a faint food heart. David Chang is nothing short of a genius, and he serves up his masterpieces in a bar setting with barstools and Pink Floyd playing from his iPod. We were lucky enough to get a table here one night and our highlight was frozen shaved foie gras over riesling gelee and pine nut brittle. I think we can leave it at that. 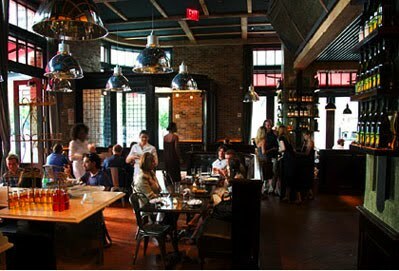 If you are in the mood for honest Tuscan fare, go to Pepolino in Tribeca. It’s delicious with simple ingredients with real Italians serving up the fare. Try the lemon tagliatelle or the spaghetti cacio e pepe. If the recession has you down, cheer up with a classic cold beer and delicious burger. We believe Corner Bistro does it the best and you can have your combo for a mere $10. If you actually find time to venture into any of the other boroughs (what? there is another borough?) Buttermilk Channel in Carroll Gardens (Brooklyn) is worth the trip. If you can snag a table at brunch, you can enjoy chicken or cheddar waffles and hot strawberry and rhubarb tarts. I couldn't agree more about the places you highlighted! I miss Casellula, Pepolino and Locanda Verde!